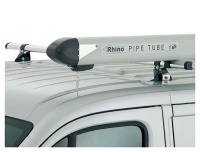 3 Bar Heavy Duty Aerodynamic Aluminium ULTI Bar Roof Rack For The Fiat Ducato Van Oct 2006 On. These UltiBar roof bars are made from 60mm x 30mm x 2mm reinforced anodised aluminium extrusion with bespoke end caps designed to aid drainage for many years of corrosion resistance. The other parts are made from 3mm thick pre galvanized steel then powdercoated black, and will also last for many years. 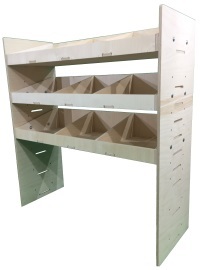 Includes Two FREE Pairs of Load End Stops. Suitable For Roof Heights and Wheelbases. 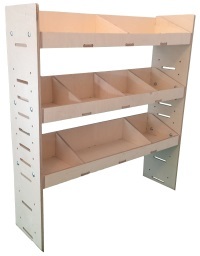 All fixings and fitting instructions are supplied. 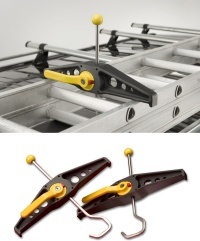 No drilling of the roof will be required when fitting this product. Approximate fitting time 30 mins. 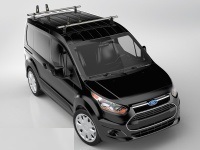 Maximum 55kg per bar load carrying capacity distributed evenly to the maximum load carrying capacity for the roof that van (refer to vehicle handbook). ULTI bars made from anodised aluminium so wont corrode. Affordable, lightweight and extremely strong. 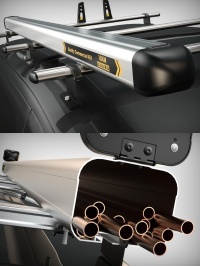 Range of roof accessories available to fit state-of-the-art T-track - load stops, eye bolts and beacon brackets. Better fuel efficiency than other leading aerodynamic van bars. At least 89% less drag than the nearest competitors aerodynamic bar. Up to 60% to 70% quieter than other leading bars. 10% stronger - each bar can now carry up to 55kg. Free next day delivery (See Terms and Conditions). 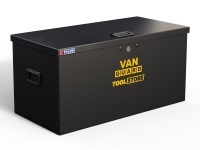 Manufactured By Van Guard. Designed and made in Britain.